In 1950, the public had been told that flying saucers are real, but there was even more exciting news circulating. 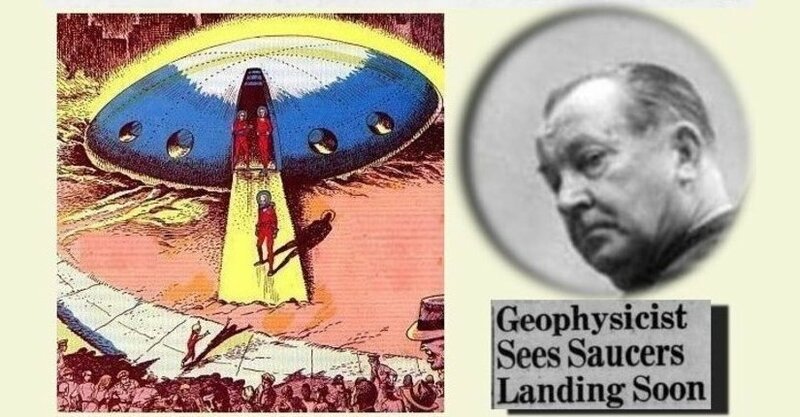 A scientist disclosed that four spaceships had been captured by the US government - and we should expect another flying saucer landing soon. 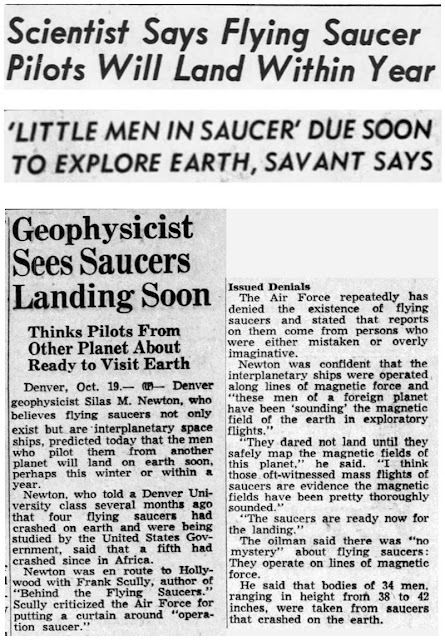 The story was issued by United Press (UP) and published as front page news by many papers across the USA on October 20, 1950. The "scientist" was oil man Silas M. Newton, billed in the news as a geophysicist. 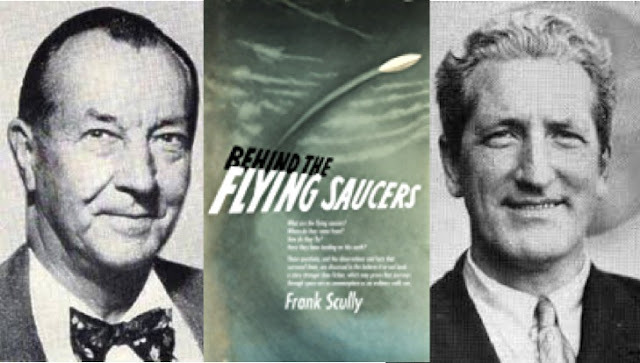 Newton's story was the basis for the best-selling book by Frank Scully, Behind the Flying Saucers. The Newton story began circulating in late 1949, and spread faster than a virus, and by early 1950, several variations of it were in circulation. 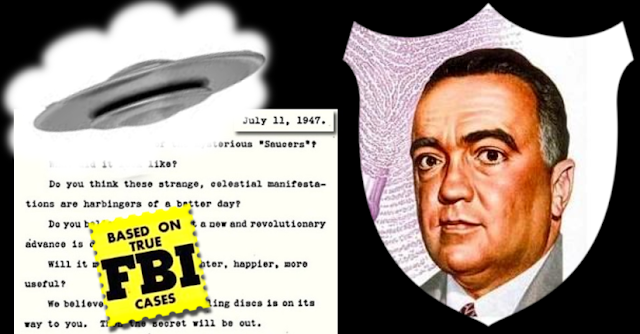 ... the story got from Silas Newton to J. Edgar Hoover: Newton told George Koehler (employed at radio station KMYR in Denver), who told Morley Davies, who told Ford dealers Murphy and van Horn, who told auto dealer Fick, who told the editor of the Kansas City Wyandotte Echo. By that time, Koehler had become "Coulter," just like a game of "gossip" (or a game of "pi")! 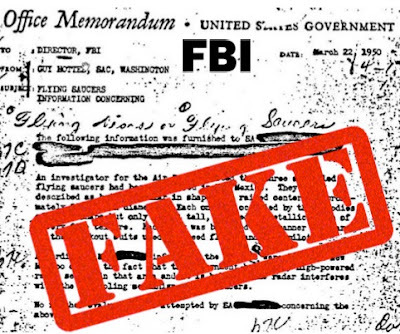 In 2011, Isaac Koi made a thorough examination of the frequent "re-discoveries" of the Guy Hottel Memo: "Debunked! The FBI alien bodies memo – A case study in the reinvention of the wheel"
The story was a hoax, part of a scam by Newton to provide an exotic technological origin for the "doodlebug" he was selling with partner Leo GeBauer, a device that was supposed to magnetically detect oil deposits beneath the earth. He was tried and found guilty of fraud in 1953. As for Silas Newton's 1950 prediction that a flying saucer would soon land, he was off. 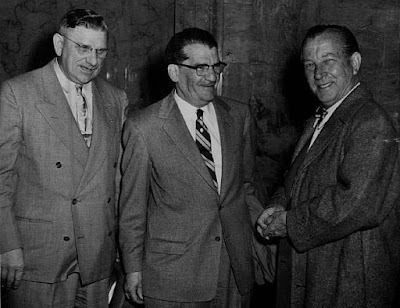 It happened in 1952, according to the story told by George Adamski. 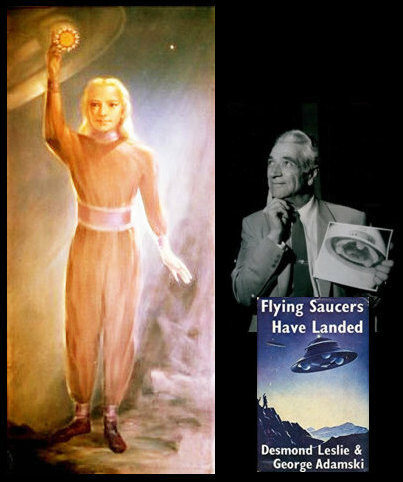 For more, see: "Saucer News presents: the George Adamski Exposé"
For what it is worth, back in the 1990s Martin Kottmeyer compiled a list of all the UFO related predictions made up to 1998, it makes for interesting reading if only for the large number of 'end of the world' type predictions, the Scully prediction is there as number 23. The link below goes to the introduction. The list itself is on page 2.